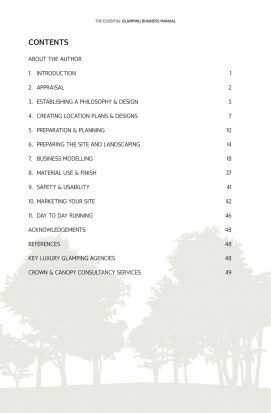 In January 2018 Crown & Canopy were approached by The National Trust to create a glamping manual to inform their farm and estate managers of how to go about setting up glamping retreats across the UK. 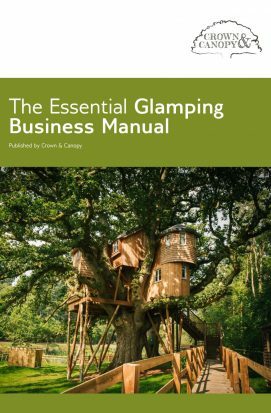 This document would introduce them to the world of glamping and guide them through setting up high end retreats from conception to completion. 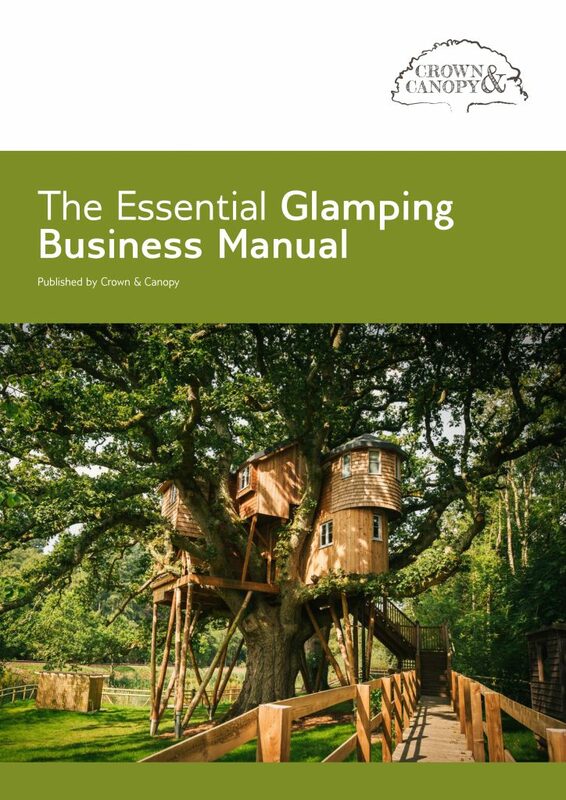 The manual, published in summer 2018, includes a business modelling section setting out average nightly rates, investment costs, ongoing maintenance costs and estimated yearly net profits from each style of retreat, based on various occupancy rates from bell tents to tree houses. This information can be used to create cash flow forecasts and projected returns for business plans, planning and grant applications. We have provided consultancy to farms and estates across the country for a number of years now. Initial visits are all about establishing the viability, unique selling points and how suitable the land is for the business, so the format of the manual reflects this process. The step by step guide takes the reader through the entire process and introduces all variables to consider from services and infrastructure to interior design, safety and day to day running. 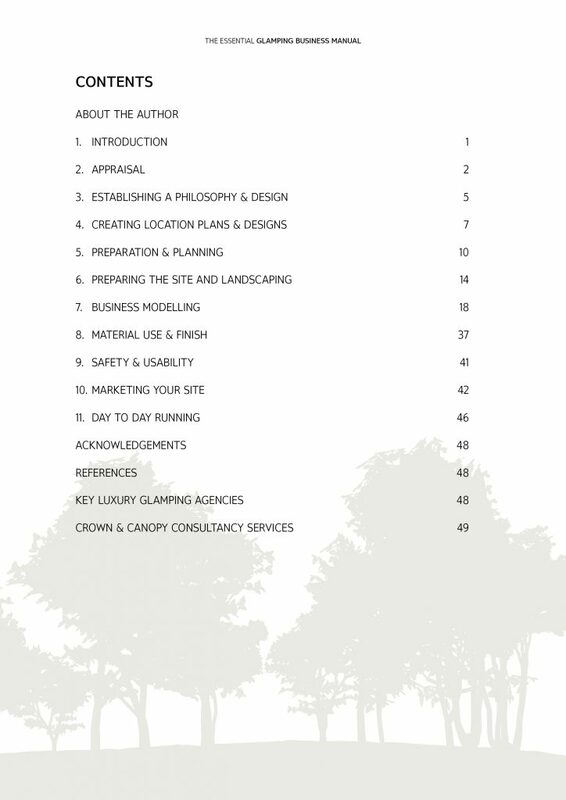 Whilst compiling the document we soon realised that this step by step guide would be valuable to many landowners across the UK thinking about setting up their own ventures. We decided to create a public version with added marketing and management sections based on our own industry experience of the last 7 years.